I am absolutely in love with this wine right now. When I first saw it in the supermarket, I was actually looking for the Arbor Mist version of this flavor. Whenever I’m craving a sweet wine, my absolute go to had been Arbor Mist as their blends seem to be more sugary. Well, when I came upon the Arbor Mist bottle, the store had jacked up the price to $6 for a 750mL! Craziness! I enjoy this wine, but the greedy jerks were just taking advantage of their customers. I kept looking, thinking I was going to go for a red Moscato instead when I happened upon the Wild Vines version. I was skeptical at first as seeing a bottle for $3.50 was low even for my standard, but I figured, what the hay! 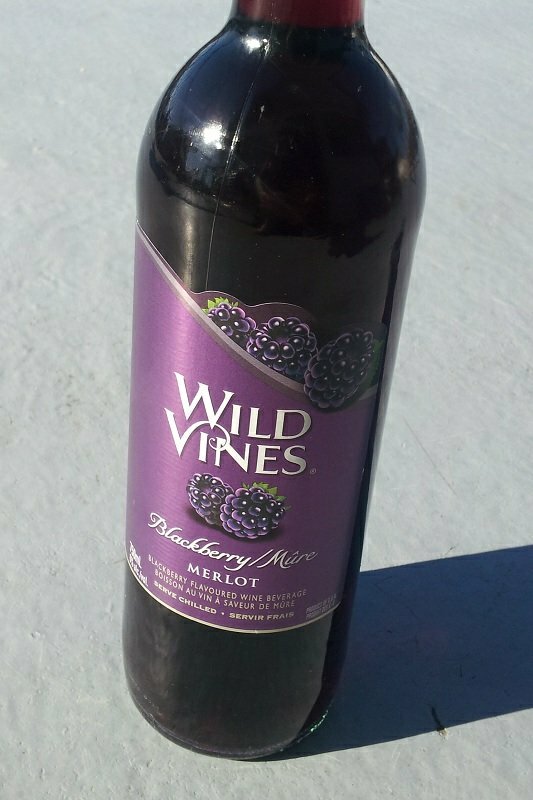 Wild Vines Blackberry Merlot is meant to be served chilled, so I waited until the next evening to try the bouquet. The moment it hit my tongue I knew. It was my new favorite! The sweet tones of the blackberry married with the dark Merlot grapes gave it a bold taste, and unlike Arbor Mist, it wasn’t as sugary as I thought it would be with it’s subtle hint of bitterness. I was in love! Still am, but guess what I happened upon at the grocery store this weekend when searching out my wine. They had rasied the price on this one, too! I don’t drink that much wine, maybe a bottle a month, so I can’t be the cause of the higher price due to my high demand! Guess I may be back on the market for a new brand soon. Until then, I’ll enjoy my $5.99 Wild Vines Blackberry Merlot a bit longer.